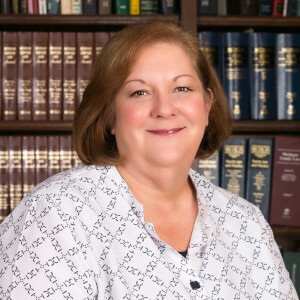 Tull Laubach P.C. Attorneys & Counselors at Law is a small general practice law firm. We provide personal service for and establish lasting relationships with our clients. In addition to this commitment to our clients, our lawyer and staff members are active contributors to the community. Our services: Assisting individuals and businesses with a variety of legal services. Our Attorneys focuses on the areas of law highlighted below. 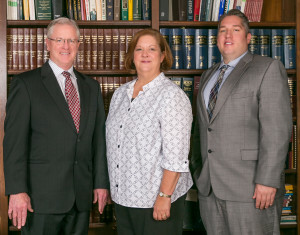 Our experience: Our firm has 35 years of experience and Attorneys Attorney Douglas A. Tull and Attorney Andre Laubach regularly appear in Macomb County, Oakland County and St. Clair County circuit courts, local district courts, probate courts and Michigan Appellate Courts. Our experience coupled with our strong community relationships throughout the greater Utica/Rochester area, translate into effective and efficient representation for our clients. See Representative Clients and Representative Cases. Fee arrangements: Feel free at any time to discuss billing. We will strive to provide a fee arrangement to you, in writing, before we begin work on your case. Once we begin work on your behalf, we will, on a monthly basis, mail itemized bills with detailed descriptions of our work. You are always welcome to inquire about the work we have done for you and the fees and costs incurred. For your convenience we accept credit cards. Our legal team: Our legal team includes personable and experienced assistants, clerks and paralegals. 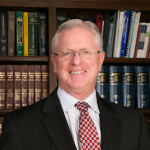 Attorney Doug Tull offers individuals and small businesses the knowledge gained through years of experience and strong community relationships. He has practiced in Michigan for over 35 years. Doug focuses on residential and commercial Real Estate Law, Business Law, Construction Law and Estate Planning. Andre Laubach, Attorney and Counselor of the law firm of Tull Laubach P.C. As associate attorney of our Utica, Michigan firm, attorney Laubach provides clients with personal and efficient representation that is designed to achieve his client’s goals. 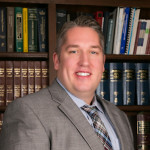 Attorney Andre Laubach offers individuals knowledge gained in several years of experience in law and a lifetime of living in the Macomb-area community. Eric B. Herfert Chiropractic Center, P.C. Ross, Stuart & Dawson, Inc.
Shelby Paint & Wallpaper, Inc.
Our services: Evening or weekend hours are available by appointment. Home visits are available for the elderly and those with special needs. To schedule an initial consultation please e-mail our firm or call toll-free at 1-866-TULL-LAW (885-5529). Credit cards accepted.